Ever since I’ve been dealing with digestive issues, I’ve been open and willing to experiment with my diet in figuring out what foods function best with my body. And throughout that experimentation I have followed different diet plans – some more strict than others. 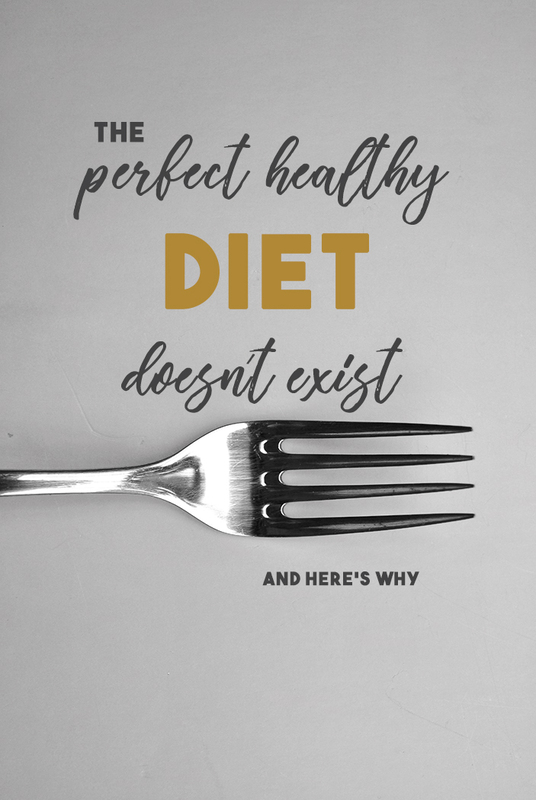 I’m sure you’ve been there as well – trying out diet after diet and finding that maybe there just isn’t one perfect healthy diet that fits all. I know I’ve often wondered if it even exists. To be honest, I really am not a fan of the word diet. There are so many interpretations of the word, but for the most part, in our culture, it’s a common word used to describe a means to lose weight. However, there are many reasons why people “go on a diet.” Whether it’s to be healthier or to alleviate an ailment, dieting can be a godsend or it can feel like a curse. We’ve all been there, right? Whether it’s because of some underlying health issue or just trying to lose a little weight, changing the way you eat is very difficult. But it’s not just the self-control or the fact that your taste buds need to get accustomed to new flavors, there are so many other reasons why starting and maintaining a new diet seems impossible. It’s all about habit. Ever since you were in the womb, you were able to taste what your mother ate, initiating your relationship with food. And, of course, as time went on new habits were formed but really, most of your healthy eating habits were formed before the age of 5. Add all of the above to the list of foods you try to avoid due to dietary issues and it’s seems like the odds are stacked against you when it comes to dieting. If it feels impossible to diet, you just might be right. Everything from our DNA (1) to our food preferences to socio-economic status to dietary intolerances to metabolism can affect your ability to be diet successfully (2). So, how can we be more successful at dieting? I’m a big believer in the notion that there is no one perfect healthy diet for everyone, but I also don’t think this is a bad thing. Our bodies all require a variety of nutrients. And of course, what’s easy to remove from your diet might be impossible for someone else. Whether your budget doesn’t allow you to jump on the organic train or your dairy allergy or gluten intolerance restricts what you can eat, finding the specific diet factors that are important for you to follow is crucial. But with all the conflicting dieting information out there, it’s easy to turn to the next fad diet. Especially when you’re bombarded by a multitude of diets. From vegan to keto, it can be overwhelming just researching all the diets, let alone actually following through with their guidelines. Just as we all vary with regards to our personalities, ambitions, and struggles, we are also different with regards to what foods work best with each of our bodies. Regardless of the diet you subscribe to (or don’t), it’s key to look at the parallels between them all in order to formulate your perfect diet. Looking into the diets that call your attention or seem manageable for your lifestyle is a good place to start. It’ll give you an idea as to what commonalities they have. Understanding what makes a diet healthy is important as it is difficult. While one diet might swear off fruit, another might encourage it. Leading to a state of utter confusion! What Can You Do About It All? Knowledge is power and the only way to push ahead is by just taking the next step – no matter how small. To start, take a second to think about all the diets you may have tried in the past. What did you like about them? What didn’t you like about them? Did you prefer the diet that was super strict or were you more comfortable with making a daily, loose plan to help you succeed? What are your must-have foods? What cuisines or flavors do you like best? What foods or meals are non-negotiable when it comes to giving up certain food groups? What foods give you energy? Which ones don’t? As you’re jotting down the answers to these questions, keep that non-negotiable food list short. Yes, that means you’ll end up making more changes to your diet but keep in mind that just because you’re cutting down your intake of certain foods, it doesn’t mean that you won’t be able to eat a meal with a similar flavor profile. Just because you’re going to give up some of your favorite foods, it doesn’t mean that you won’t be able to find alternatives to feed your cravings. So, if you’re a huge fan of pizza and you just have to eat it multiple times a week, you might want to consider finding substitutes that mimic those same pizza flavors you love without the negative side-effects that tend to tag along. The best way to formulate a flexible (and perfect of you) diet plan is to ensure that you’re getting the right amount of protein, fats, and carbs in every meal. It doesn’t have to be rocket science and you don’t have to worry about getting the ratios right every time. The best way to go about this is in paying attention to how your body reacts to certain foods. Ensuring that what you put into your body is promoting health and wellness is key in creating a successful diet plan. Once you have your list of foods that you cannot give up, along with the answers to all the above questions, you’re ready to split them off into categories – proteins, fats, carbs. If you need to follow a strict plan, then make sure you break down your list even more. Pick one food from each category and plan a meal out of it. Portion control! Eat until you’re satisfied. If you’re constantly full after meals, you’re overeating. I really hope this post helped empower and clear up some uncertainties you feel when thinking about the perfect diet. Understanding the intricacies of human habits is key in establishing a diet that works for you. There may not be one perfect diet for everyone, but there’s a perfect diet just for you. Have you come across a diet that you feel is perfect for you? Please let me know in the comments. Even if it won’t work for everyone, it would be awesome to hear how you found your perfect diet and how it fits into your lifestyle.